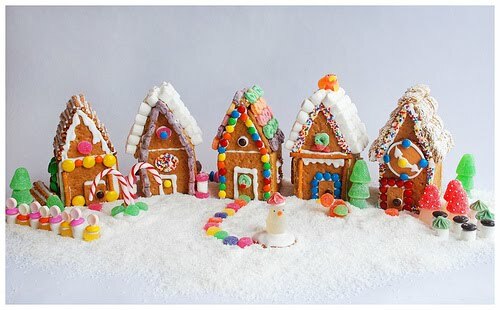 On Friday, December 13th from 10:45 - 12:00 we'll be making Gingerbread Houses out of graham crackers! I would LOVE some parent volunteers to help with our creations, as well as the items shown below, to help in the construction. Please comment on this post with any items you would like to donate and if you are able to join us! The items can be turned in when you get them. Also, we need shoeboxes to help transport the creations home. Thank you so much! We are looking forward to a fun day! The items that have been donated are green.